DREAMY ELECTRONICS: We did not settle for just the integrated MVICS electronics with Full multi-map Ride by Wire, 8-level traction control and Up & Down EAS 2.0 electronic gearbox and inertial platform: the Lusso version also features our Skyhook algorithm that supplies all the key parameters for the semi-active suspension adjustments. MV, NO COMPROMISE: When performance meets comfort. Enjoying the typical MV riding sensations does not necessarily mean giving up long, epic journeys. Turismo Veloce was designed precisely to satisfy both aspirations without compromise. 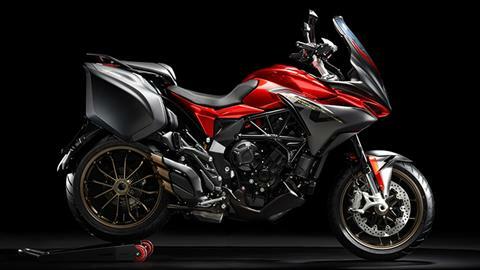 THE PLEASURE OF EXPLORING: Every single detail is unmistakably MV: from the compact side panniers, to the distinctive fuel tank, stylishly aggressive but with enough capacity to take you far away, including the new full LED headlights and the hand guards with built-in indicators. EMOTIONAL, EVEN WHEN TRAVELLING: Aggressive and compact, yet comfortable and always under control. 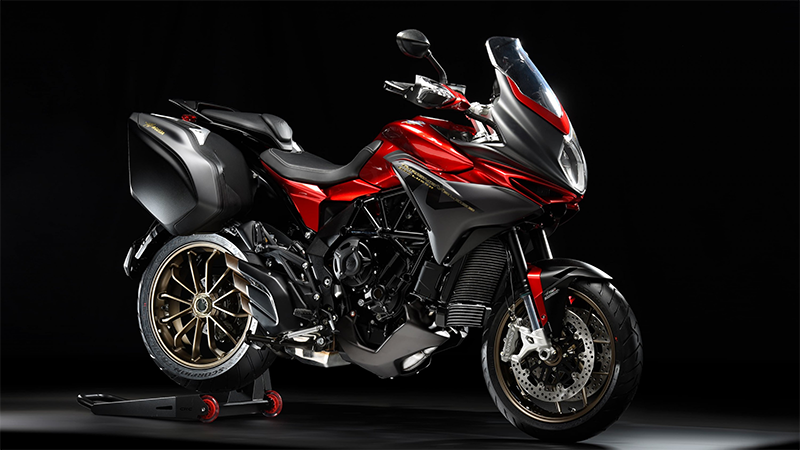 Turismo Veloce Lusso represents the perfect combination for sheer riding pleasure and endless travelling. A modern explorer with the unmistakable elegance of an MV.